Managed service providers (MSPs) that win-out in the highly competitive Asian markets require a clearly differentiated service, one that is cost effective, simplified, secure, reliable, and comes with excellent customer service. For Stone Forest IT, they believe their managed service matches this criteria, and it will need to, if it wants a larger share of the Singapore and regional market. According to Vincent Ma - pre-sales manager at Stone Forest IT - the provider's overriding focus in 2019 centres around the "continued growth" of its managed services suite, branded as 'AvailEase'. "This is a suite of services that consists of services such as managed back-up, managed system maintenance, IT advisory, and a managed security platform," explained Ma, when speaking exclusively to Channel Asia. Ma further explained that remote monitoring and management (RMM), cloud back-up, cloud endpoint protection and a 24x7 network operation centre (NOC) are baked into this managed service offering. “We coupled and packaged the technologies as managed services so that the pricing and offerings are presented to the client as not only affordable but also palatable,” said Ma. Ma sees the provider’s strong technical background and its ability to source and manage large teams of IT professionals as a "differentiating factor and a unique value proposition" for customers, combined with its simplified and consolidation approached to managed services. “We have a 20-man strong outsourcing team handling the day to day operations,” said Ma. “We do have another 10x Network Operation Centre (NOC) residing in Kuala Lumpur handling our remote maintenance & remote service desk support operations. “The NOC is still growing. Our unique value proposition is that we have a very strong technical background where most of our competitors have difficulties sourcing and managing a team of such size." Furthermore, from an IT outsourcing perspective, a routine periodic maintenance is offered to the provider’s clients, value-adding by providing affordable off-site managed cloud back-up, managed security and cloud infrastructure with a full suite of remote management services, according to Ma. “Our target audiences are small and midsize businesses with a range of 5-250 head-counts,” said Ma. “Reason being, these are the businesses which constitutes to majority of the Singapore market and these are the businesses that usually do not want to manage an IT headcount internally; therefore, we find that this is a sweet spot where Stone Forest IT can fill the gap." The firm also offers biannual cyber security 'lunch & learn' sessions to connect with clients and, educate them on the importance of being secure and generate more business opportunities. 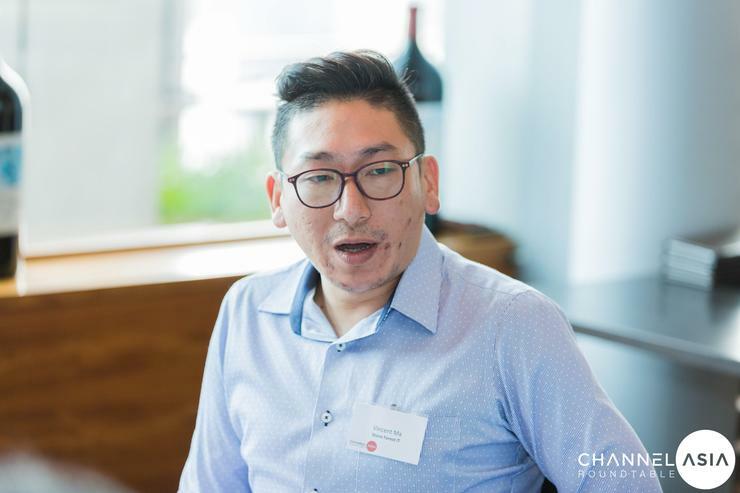 “We aim to capitalise on market opportunities through conducting events with key partner vendors, for example, Sophos, and also through internal referrals,” said Ma. To be a successful partner, said Ma, providers need to be "resourceful and prompt", in addition to having a "measurable solution" that benefits the customer. From a customer perspective, said Ma, “we are seeing investments in disaster recovery.” More customers are leveraging cloud technologies as a means to architect an affordable disaster recovery solution, and address against a range of threats. In fact, security, said Ma, is the main challenge organisations will face in the coming year, threats such as ransomware, phishing, etc, which in turn will affect their business if not handled properly. Read more MSP mania is upon the channel, but can Asian partners prevail? Maintaining this theme, Ma said technologies such as data analytics and artificial intelligence (AI) will have a "major impact" on channel partners in 2019 and beyond. In a wide-ranging interview with Channel Asia, Ma said such growth shows no signs of abating, especially when creating value propositions in more mature markets with stringent compliance such as healthcare, for instance. In fact, a 2017 report by McKinsey Global Institute, the potential value pool created in ASEAN by proactive AI adoption is estimated at S$1.2 trillion (US$897 billion). “A key challenge for technology providers / channel partners is in educating the end-user and create user awareness on topics such as cyber security, cloud usage, etc," he added. "From vendors, what we hope to see is frequent technical enablement, product updates and better support."